HyperLynx® DDR PE was created especially for Altium, Allegro, CADSTAR, and OrCAD engineers who need powerful analysis of DDR1, DDR2, DDR3, and LPDDR 1/2/3 designs. HyperLynx DDR PE provides powerful analysis for PCBs with DDR memory, greatly reducing validation and debug cycles. 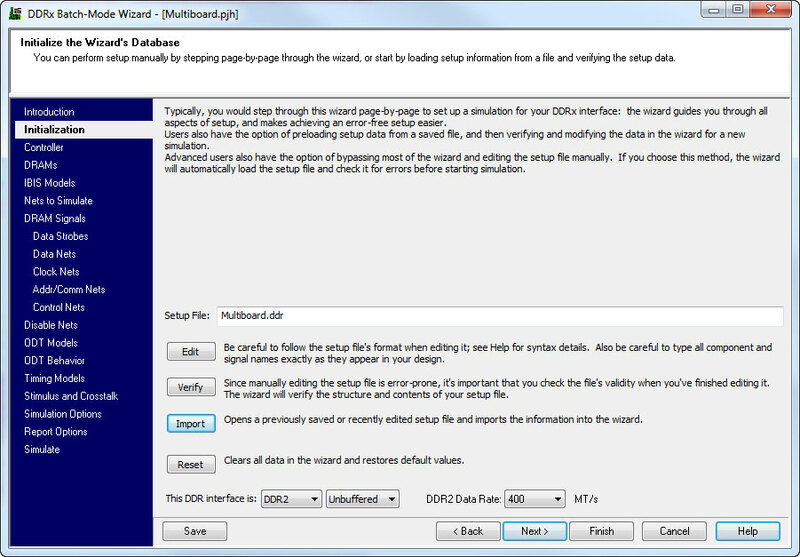 Easily report setup/hold times, overshoot/undershoot, and non-monotonicity in your DDR interface to improve design quality. Measurements can be validated against JEDEC DDR1/2/3 standard values or custom operating points. The detailed simulations take into account board-level effects, such as lossy transmission lines, reflections, impedance changes, effects of vias, ISI, crosstalk, and timing delays, providing a comprehensive view of your memory interface.